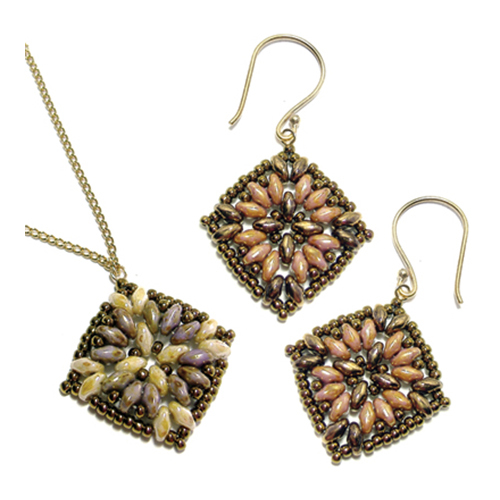 This pattern is fully illustrated with detailed step-by-step instructions for making earrings or a pendant. It matches the Maya Bands. About one inch high and wide.